OE Blush is a variety that was introduced from South America in the late 1990s by Oregon Exotics nursery. Beyond that, the details of its origin seem to have been lost. OE Blush is slightly sweet and barely tart, closer to potato flavor than anything else that I can think of. The cooked texture is moderately firm. Most color is lost in cooking. OE Blush plants are large with thick stems and resist sprawling longer than most varieties. Tubers cluster under the base of the plant and are sometimes irregular due to crowding. Tuberization photoperiod is about 12 hours, the same as most heirloom varieties. Average yield is 1.4 pounds. 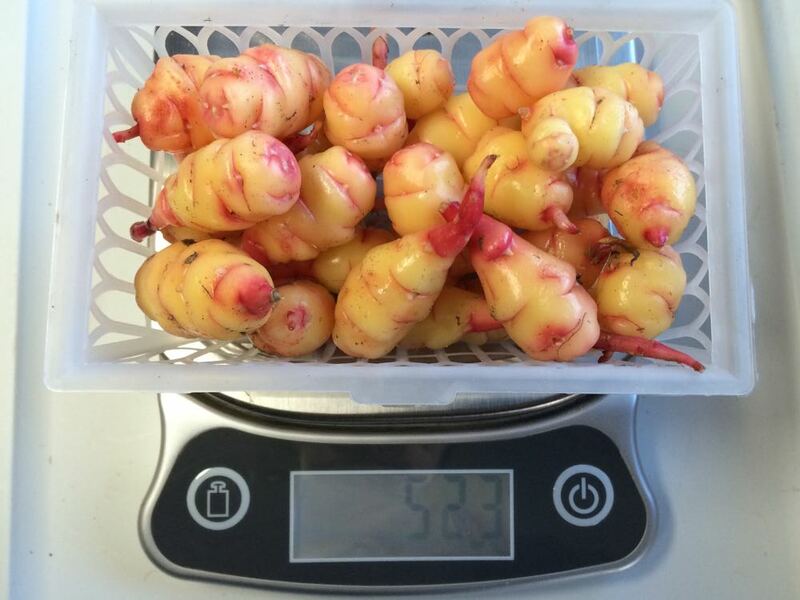 The maximum tuber length is 4 inches and the average tuber length is 1.9 inches. Average tuber count is 27. 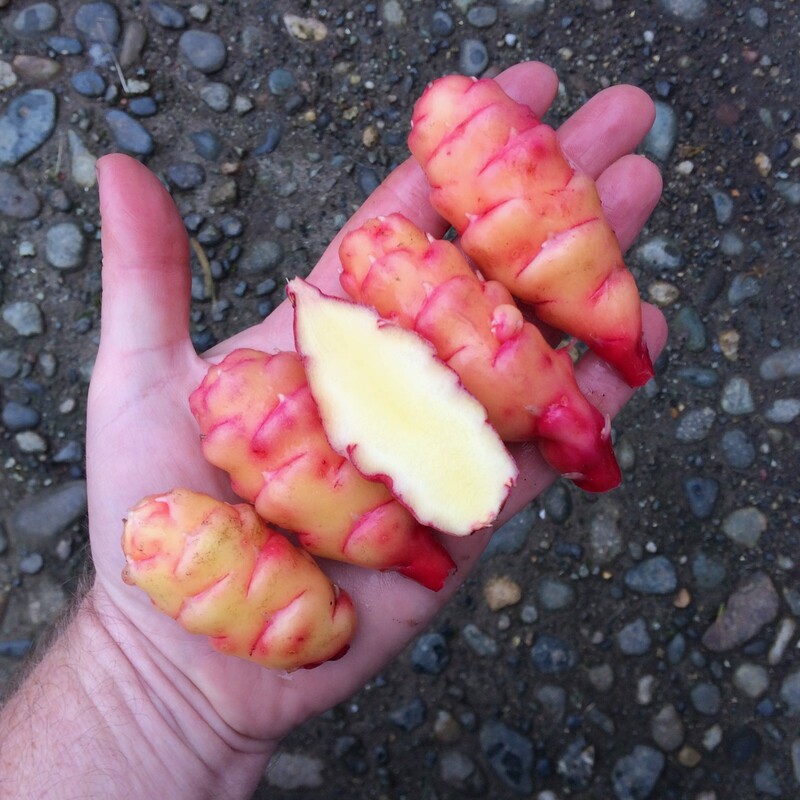 There are roughly equal numbers of large and small tubers with this variety. OE Blush is a moderate flowerer with a mid-styled flower, flowering here June through August.